We’d love your help. Let us know what’s wrong with this preview of Liselotte & Witch's Forest, Vol. 1 by Natsuki Takaya. To ask other readers questions about Liselotte & Witch's Forest, Vol. 1, please sign up. Natsuki Takaya is the mangaka genius behind the world wide favorite Fruits Basket, a series I loved and has the notable distinction of being one of the first manga series I ever finished! With so many volumes that is a real feat... so when I learned she had two other series that I'd not tried I decided to give both a go! 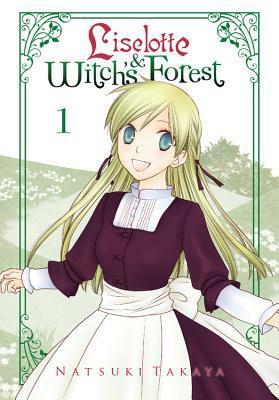 Natsuki Takaya's greatest strength is her ability to develop a mystery that you are dying to understand... and the same is true for Liselotte & Witch's Forest vol 1. By the end of the volume Liselotte is surrounded by a bunch of mysterious people... First there are the two children who are her servants she brought with her. Alto and Anna, fraternal twins who are orphans and dedicated themselves to her, even following her to her current remote home. Then we have the arrival of Engetsu, who quickly moves in. He obviously has feelings for Liselotte as he considers her feelings and worries. Then we have Yomi! A witches' familiar who is there for some purpose he won't reveal! GAAAHHHHH!!! I want to know more about all of them!! As for mangaka Natsuki Takaya's art... I was always more enthralled with her story than her art. It isn't bad art, but is at its most basic... totally what I think of when I think shoujo manga. The big eyes, the simple backgrounds, the large frames... and the art's pluses, the facial expressions being center stage, the emotions clearly wrought and the iconic character designs. I'm hoping for a little more detail in future volumes to give us a better sense of the world and not just the characters. Liselotte & Witch's Forest is a fantasy version of Takaya-sensei's seemingly usual fair: character-driven goofiness with something darker and sadder lurking beneath the surface. This manga focuses on the titular character, Liselotte, as she lives her life in exile "east of the east of the east." She's in the boonies, living with her two servants and is later joined by Engetsu, a strange man who reminds her of someone from her past. In this world, there are witches, and they seem to reside not Liselotte & Witch's Forest is a fantasy version of Takaya-sensei's seemingly usual fair: character-driven goofiness with something darker and sadder lurking beneath the surface. This manga focuses on the titular character, Liselotte, as she lives her life in exile "east of the east of the east." She's in the boonies, living with her two servants and is later joined by Engetsu, a strange man who reminds her of someone from her past. In this world, there are witches, and they seem to reside not far from where Liselotte and company call home. Saying much more will venture more into theories than into spoiler territory, so that's about all I can really say. The cover this time around is a little misleading, at least to me. The cover makes Liselotte appear to be a blond-haired Tohru, but in the manga itself, she seems to be a bit older (I'm guessing early to mid-twenties), and unlike maid-of-the-year and air-headed Tohru, Liselotte is terrible at housework but seems to be more grounded in the reality of her situation, even if she's making the best of it she can. Okay! I'm on board! Everyone is cute and backstory is hinted at! Also scary WITCHES. Natsuki Takaya never gives her game away, which is why I trust this series to bring me lots of laughter and tears. That being said, I have some reservations about the translation, not in terms of accuracy but rather because of its lack of a voice. I've noticed the recent YenPress editions of Fruits Basket suffer from the same flaw. Personally, I think literal translation can be a problem where it sacrifices the tone of the characters, and the Tokyopop translation had me rolling over laughing whe Natsuki Takaya never gives her game away, which is why I trust this series to bring me lots of laughter and tears. That being said, I have some reservations about the translation, not in terms of accuracy but rather because of its lack of a voice. I've noticed the recent YenPress editions of Fruits Basket suffer from the same flaw. Personally, I think literal translation can be a problem where it sacrifices the tone of the characters, and the Tokyopop translation had me rolling over laughing where the new one makes me smirk and vaguely shrug. J'ai bien aimé ce premier tome. Difficile néanmoins de me prononcer plus, trop d'éléments nous sont encore cachés, les premières révélations ne sont pas incroyables et elles ajoutent encore plus de mystère à l'ensemble. Liselotte, l'héroïne, me semble trop gentille, mais en même temps on dirait qu'elle cache un caractère affirmé, j'attends donc de voir comment elle va être dans les prochains tomes. Les autres personnages doivent eux aussi en montrer plus, je ne sais pas trop quoi penser d'eux, m J'ai bien aimé ce premier tome. Difficile néanmoins de me prononcer plus, trop d'éléments nous sont encore cachés, les premières révélations ne sont pas incroyables et elles ajoutent encore plus de mystère à l'ensemble. Liselotte, l'héroïne, me semble trop gentille, mais en même temps on dirait qu'elle cache un caractère affirmé, j'attends donc de voir comment elle va être dans les prochains tomes. Les autres personnages doivent eux aussi en montrer plus, je ne sais pas trop quoi penser d'eux, mais il y a des tout comme personnalités. Un tome essentiellement introductif, qui a tout à prouver. I've always liked Natsuki Takaya's art, even if her manga isn't super detailed and the main character, Liselotte, looks a lot like Tohru Honda from Fruits Basket. She keeps it simple, but there's always something likeable about the characters. The plot however... For now I am just curious about Liselotte's backstory, the twins tale too, if they have one, and I'm not really reeled in with the witches or with Engetsu. As a matter of fact, the whole "we (may) have met before" trope has kind of worn I've always liked Natsuki Takaya's art, even if her manga isn't super detailed and the main character, Liselotte, looks a lot like Tohru Honda from Fruits Basket. She keeps it simple, but there's always something likeable about the characters. The plot however... For now I am just curious about Liselotte's backstory, the twins tale too, if they have one, and I'm not really reeled in with the witches or with Engetsu. As a matter of fact, the whole "we (may) have met before" trope has kind of worn out for me, you have to make that sort of backstory work really well, or it ends up being more of the same lazy tricks writers use. I really loved the characters in Fruits Basket, so I was super excited to see that Takaya had a new series. 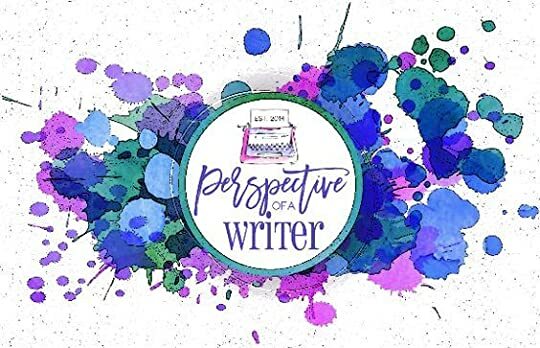 I wasn't aware that it was on hiatus, however, (and has been since 2013) so that makes me a little cautious about starting it and getting in to the characters only to have to take a long (perhaps forever) break from the story. It's coming out fairly slowly in English, however, and I decided to give it a go anyway. The first volume is really just set up, and not a whole lot happens plot or I really loved the characters in Fruits Basket, so I was super excited to see that Takaya had a new series. I wasn't aware that it was on hiatus, however, (and has been since 2013) so that makes me a little cautious about starting it and getting in to the characters only to have to take a long (perhaps forever) break from the story. Cute art. Not sure where the story's going, but there seems to be quite a lot there. And here I was thinking that I would only like one manga by Natsuki Takaya, her most popular, 'Fruits Basket'. 'Liselotte & Witch's Forest, Vol. 1' is surprisingly nice, gentle, wholesome and simple, but not un-challenging. The characters are interesting and the mystery surrounding the setting and slow-burning plot is intriguing. Liselotte is a young woman living in exile near a forest with two child servants, twins Alto and Anna. There are rumours of dangerous witches and familiars lurking i And here I was thinking that I would only like one manga by Natsuki Takaya, her most popular, 'Fruits Basket'. Liselotte is a young woman living in exile near a forest with two child servants, twins Alto and Anna. There are rumours of dangerous witches and familiars lurking in the forest. They turn out to be true, naturally. A mysterious man called Engetsu (or Enrich, whoever) shows up to protect Liselotte. She thinks she knows him from her past. The serious Alto is not happy about this; he wants to protect his master just as badly. Oh, also Liselotte is of noble birth and had apparently tried to overthrow her brother for the throne, hence the exile. And that's about it. 'Liselotte & Witch's Forest' is a mix of fantasy and slice-of-life, starring deep, three-dimensional characters in their everyday situations. You want to keep reading to find out how they came to be in their circumstances. There are only five at the moment - Liselotte, Alto, Anna, Engetsu, and Yomi, a cheeky witch familiar. Liselotte is a lovely woman (it's not clear how young she is). Optimistic, ambitious, caring; she's like Tohru but smarter, more determined, and able to counteract and talk back to people, for all she is clueless about living the farm life. Not so annoyingly ditzy like many shoujo heroines, she always tries, and is hardworking, and in light of her background this is admirable. There are sundry facets to her character. However, I am irritated that Liselotte is almost never given a chance to do anything useful to the plot, as either Engetsu or Yomi keep taking her place and doing her jobs for her. She was royalty, but come on! She's not that reckless, thus needing to be saved. She could be great! I'm dying for female characters in manga and anime to actually do something! Not just exist for emotional support. Stop having men come to their rescue! Think Yuki Cross from 'Vampire Knight' and you'll get the idea of what sort of female character trope I'm talking about - the useless damsel who is presented as tough and practical, but it is all telling and not showing. She's a pawn, a tool, a victim, a helpless love interest in her own story. Liselotte is good at disobeying the overprotective Alto, anyway. She is sweet on both twins - they are like a family to her, and vice versa. She doesn't like to treat them as servants, who came with her in her exile willingly. The artwork is nice, too, showing different angles and expressions on the characters, capturing what they are thinking and feeling without words. This is most potent in beautiful Liselotte. The secluded farm and forest are drawn guilelessly yet enigmatically. Overall, I enjoyed this little manga, from beginning to end, when I didn't expect to at all. And that's despite its familiar shoujo tropes. A guilty pleasure, but a calming, lulling one. Like a trickle in a glade. A quiet gem. Besides as a comparison to Fruits Basket, I didn't have much of an expectation getting into this book. In my opinion, Takaya's art has improved in many areas; as is seen in this volume. While I'm not entirely sure if I should be pleasantly surprised or not, this book was actually pretty cute. I mean, sure. Odd things happen and there's at least one plot hole (why did they trust the familiar that cursed them to get medicine instead of poison? ), but the slice of life side of the story (which was most of it, so far) was still entertaining. I guess the one thing I wasn't too big on was assumed love interest's lack of personality. However, as the series has barely started, I'll give him a second chance. The art is nice, there's promise of all sorts of darkness & backstory... but overall it just felt underwhelming and kinda boring. The translation tries hard with different fonts styles but the words themselves read ...just... these weird disjointed awkward lines everywhere! Phrase from one chara or this other chara's thought or some kinda flashback narration?? The bubbles placement combined with fairly typical shojo artstyle of "barely backgrounds, plenty of screentone filler" doesn't help! M The art is nice, there's promise of all sorts of darkness & backstory... but overall it just felt underwhelming and kinda boring. Cute, if a bit generic, shoujo manga. The protagonist Liselotte is a cheerful girl with a sad past-- she is living in the remote wilderness having been exiled from a life of wealth and nobility-- but she stays almost stubbornly positive despite that. Her companions are a set of twins who live with her as her servants, but it's in typical shoujo manga fashion where they have a more friendly and caring relationship. The cuteness of the twins' character designs and their funny and adorable interact Cute, if a bit generic, shoujo manga. The protagonist Liselotte is a cheerful girl with a sad past-- she is living in the remote wilderness having been exiled from a life of wealth and nobility-- but she stays almost stubbornly positive despite that. Her companions are a set of twins who live with her as her servants, but it's in typical shoujo manga fashion where they have a more friendly and caring relationship. The cuteness of the twins' character designs and their funny and adorable interactions with Lise are alone enough to keep me reading for now. However, there's also an intriguing love interest who enters the story early on. Naturally he's an untalkative mysterious bishounen but he seems to have a past with Lise, so I'm sure there will be more development later on. There's many layers I found annoying in this slow sweet Shojo story - the most obvious was the precious delicateness of the Blonde Princess - a flat character that bored me to death. But what's the deal with her two child servants? I liked the friendship Anna has for her Lady, but why is her brother so protective? Does he have a crush on her? And also, - why does she have child servants? Is that not creepy? The stock broody hero character is just meh, but that's to be expected. Am I just over an There's many layers I found annoying in this slow sweet Shojo story - the most obvious was the precious delicateness of the Blonde Princess - a flat character that bored me to death. But what's the deal with her two child servants? I liked the friendship Anna has for her Lady, but why is her brother so protective? Does he have a crush on her? And also, - why does she have child servants? Is that not creepy? The stock broody hero character is just meh, but that's to be expected. Liselotte and her two child-servants are living in a remote land, when Liselotte is attacked by a witch and rescued by a mysterious stranger. This story uses light humour and quirky conversations to keep it a light and easy read. There are many unresolved and unexplained characters and events that make me want to read volume 2. I found the sequence and flow a bit confusing, but all-in-all it only took me about 1 hour to read, so re-reading and stumbling in parts wasn't a problem. This is very cute and gentle, to the point of being bland. My main complaint though is the word balloons. They float all over the place, sometimes covering the faces of characters, and are often difficult to trace back to the start of the sentence being spoken or even the character speaking them. Maybe they are being deliberately employed to obscure the fact that nothing much is going on here. Loved fruits basket so I wanted to try out her other series. I was confused as to what was going in the first part of the book, but the familiar gave me some back story that explained a lot and still left me with questions. The mysterious En (as liselotte calls him) is the most intriguing character of all the ones I met so far. I want to know what's up with him. It was an pretty good read. About 3.8 stars for me. Was browsing casually at the library and saw this and thought it looked like a fun read. Also, I'm a huge fan of Fruits Basket, so I felt this was going to be great. Whilst it was fun and interesting, the story felt rushed in parts, but I'm certainly planning to read on! It was okay... a bit immature for my taste, and I think there is instalove in it. I'm also not that interested in the story. Yet, I think I'll continue- cause, the first volume is usually meaningless. It get's better... hopefully. I'm kind of curious about this witch stuff. Wanted to like this because of Fruits Basket but I was so bored reading it. Love her art style... Been hooked to Natsuki since Fruits Basket! And will continue to read her stories! She was born in Shizuoka, Japan, but was raised in Tokyo, where she made her debu Natsuki Takaya (高屋 奈月 Takaya Natsuki, real name Naka Hatake) is the penname of a Japanese manga artist best-known for creating the series Fruits Basket. She was born on July 7, 1973; (Tanabata). Takaya is left-handed and once revealed that she wanted to be a mangaka since first grade, when her sister started drawing.